In August 2014, we were proud to partner with the US Cuba Artist Exchange‘s people to people tour. 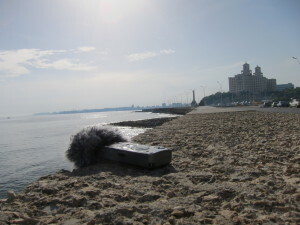 We traveled to Cuba to collect sounds for our ongoing project The Touch of Sound, which features authentic sound recordings from around the world. Throughout our trip we encountered a vibrant country, full of history, culture, music, and especially sounds. Each location we visited had its own unique environment. Please enjoy the sonic highlights from each stop on our Cuban adventure. 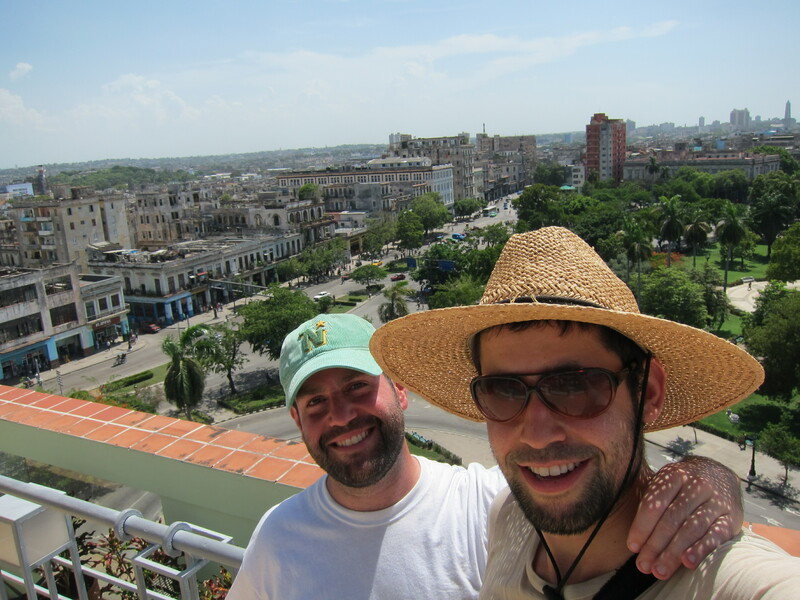 Our tour began in Havana, Cuba’s capital and its largest city. A morning walk through Old Havana offered an array of street performances amidst the neighborhood’s beautiful architecture (Trumpet Player). A nearby rooftop terrace provided a unique overhead soundscape as the engines of numerous classic cars rumbled below (Havana Rooftop). In Havana, we also heard the sounds of day to day life for the city’s millions of residents, such as this morning market (Morning Market). 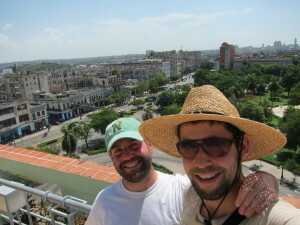 Our next stop was Cienfuegos, a port city on Cuba’s southern coast. Though a laid-back vibe welcomed us, this city was very much alive. Beautiful architecture surrounds the José Martí Park in the center of the city. There, the cathedral bells can be heard throughout the day (Cathedral Bells). The park also draws out the locals for leisure activities, such as a game of dominoes (Domino Game) or a pickup game of street football (Street Football). As we ventured deeper into the heart of the city the next day, we were reminded of how vocal Cubans can be. As a local team played in front of a sparse yet enthusiastic crowd, we saw the passion Cubans have for the game of baseball (Baseball Game). After the game, the steamy August weather inspired us to beat the summertime heat like the locals do at a nearby beach (Playa Rancho Luna). Despite our excitement for our urban explorations of Cuba, one of our favorite moments was waking up before dawn to watch the sunrise and hear the bountiful morning birds awaken outside of the city limits (Morning Birds). Our next stop was a visit to the gorgeous colonial city of Trinidad, which is celebrating its quincentennial this year. The city’s historical center is filled with the charm of cobblestone streets and colorful buildings. The sounds of the fruit sellers and residents in the streets (Trinidad Streets) and the clip-clop of the horses that are still used for transport to this day (Horse Cart) come alive against this beautiful backdrop. Music is an important part of Cuban culture. This is evident in Matanzas, our next stop along Cuba’s northern coast. Matanzas is famous for the Afro-Cuban rhythms of Rumba. Our first stop in town was a local street festival packed with people. The performance from the stage kept the spirited crowd dancing in the streets (Street Festival). As the cold beverages continued to flow that warm evening, we were led off the beaten path to the local carnival. The loud music derailed our attempts at recording the sound, but the carnival was an invaluable glimpse into life in Matanzas. We woke up the next morning to the sounds of the awakening city and the voice of a vendor selling fresh bread (Morning in Matanzas). With three rivers in Matanzas, our exploration naturally took us to the waters and some of the city’s many bridges. On recommendation from a local, we ventured towards the iron bridge near the bay and captured this intriguing traffic sound (Iron Bridge). Jesse studies Cuban rhythms with his bandmate Tony from Malamanya. Along with fellow percussionist Rafa, they took a lesson with one of the drum masters of the city (Master Drum Lesson). Heading back towards Havana, we made a brief stop to capture the power of the Caribbean Sea as it slammed into the rocky northern coast (North Coast). Upon our arrival back in the capital, we found we had really settled into the trip and the pace of Cuban life. We spent the time we had left exploring the city further. We discovered a group of fisherman trying their luck at sunset on the Malecón (Fisherman). Each night at 9:00 pm, a ceremonial cannon shot fires into Havana Bay. The cannon’s explosive shot can be heard throughout the city, but we were able to capture its massive sound from up close. (Cannon shot at La Cabaña Fortress). We found the fascinating juxtaposition of natural and urban sounds along the famous Paseo del Prado as the evening birds came out to sing (Paseo del Prado) and also the moment we were caught in a quick tropical rainfall near the Hotel Nacional (Tropical Rainfall). Before departing Havana, we recorded one of the quintessential sounds of the city, the waves crashing into the iconic Malecón seawall (Malecón). To be a part of this cultural exchange was an extraordinary experience for us. We learned about Cuban history and culture from the people themselves, and were blown away by their welcoming hospitality to visitors. We hope to return and continue to spotlight this vivacious country and the many sounds it has to offer.